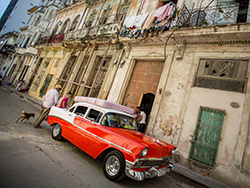 On July 18, 2009 Darlene participated in Scott Kelby’s 2nd annual World Wide Photo Walk. She joined the Edmonton walk #2 led by Jason Bouwmeester. 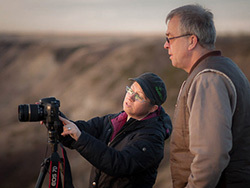 Update: Darlene is leading an Edmonton Photo Walk 2011 route on Oct 1, 2011. 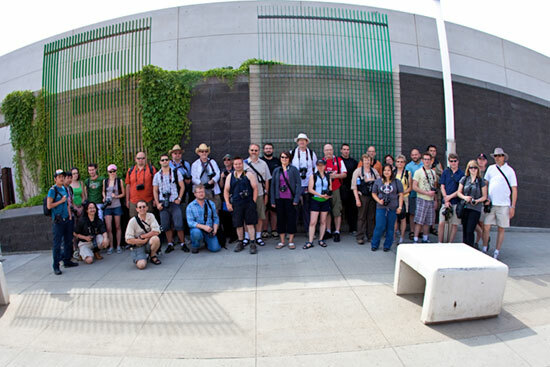 About 35 photographers (amateurs, hobbyists and pros) met at the Shaw conference center and embarked on a 2 hour walk through the inner city area, ending finally at Churchill Square. Many different angles were taken of the same subjects along the way and it was interesting to compare how each photographer’s view was slightly different than the next. 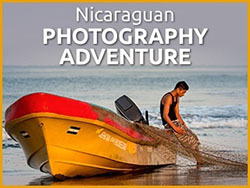 Each photographer was then allowed to submit up to two images for the contest. Jason was given the unenviable job of selecting one winning from among the entries. 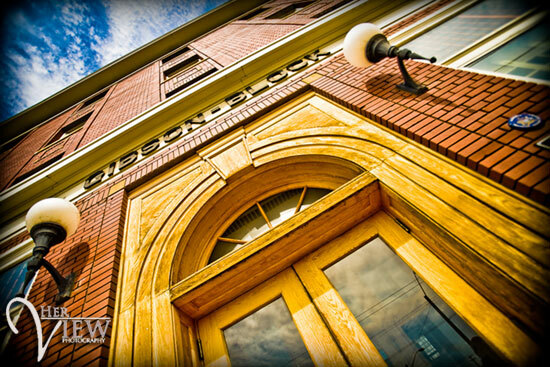 He announced the winner today and it was Darlene’s image of the Gibson Block below. This photograph will now go on to represent the Edmonton Photo Walk #2 in the world wide competition for the overall winner for the day. This is the group photo done at the start of the walk – can you find Darlene? Front row, light blue top and a ball cap. To see more of Darlene’s images of the 2’nd ever Edmonton Photo Walk, please play the slide show below. Darlene is leading one of the 2011 Edmonton Photo Walks this year so please have a look at the details and then sign up. Great job Darlene! That is an Awesome picture. I’ll be sure to show it to my son, who is also interested in photography. Congratulations on being recognized for your amazing art, Darlene! You are truely a talented photographer. Way to go sis! Good luck with the $10K. 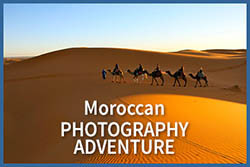 Congrads Darlene, Kyle and I both enjoy looking at your photographs. Thanks for sharing.